This review is meant as a source of information and advice for the consumer who wants to learn more about Memory Hrx and its uses. It is primarily a drug that optimizes the cognitive functions and abilities. This supplement is created to enhance one’s power to memorize, think and act quicker, as well as improve the ability to stay focused at all times. It does not require any type of prescription or recommendation, therefore it can be purchased in various stores or online pharmacies. The formula relies on specific active ingredients chosen due to their unique properties. The blend of these natural compounds creates the perfect environment for boosting the brain’s ability to concentrate, memorize and operate faster overall. According to the provided instructions, the user should swallow one capsules before breakfast and one before dinner. This should be done regularly on a daily basis for 2 to 4 weeks in order achieve and feel the results. One container is listed at the price of 24.99$. Customers do no benefit from any kind of special offers even if ordering multiple packs. Discounts are currently unavailable, therefore the customer is required to pay the full price for every purchase. I used this treatment for just over a month with the desire to improve my memory and ability to stay concentrated for longer periods of time. The drug did not have any noticeable effect on me for the first 2 to 3 weeks, but that was to be expected according to the product’s own label. In the last week of using this supplement I began realizing that my attention span has somewhat improved and I can memorize more information without repeatedly going over it. The product is helpful, but the effect takes time and it isn’t quite as powerful. There is no mention of possible side effects or adverse reactions even though the label warns user to discontinue use if they occur. However, the chance of experiencing side effects is small due to the fact that the drug is entirely made from natural ingredients, without the use of harmful chemicals. It is advisable though for women who are pregnant or nursing to contact a physician before taking this supplement. The manufacturer offers a fairly basic one month money back guarantee along with its product. This means that the customer has the chance to return a faulty product within 30 days since purchase in order to obtain a full refund. Reviews are currently unavailable on the product’s website as no previous customer offered his or her opinion on this item. 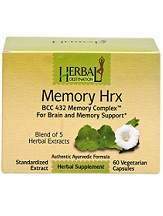 Memory Hrx is a natural supplement that should boost one’s cognitive ability without causing any side effects due to its harmless formula. The downside is that it take at least 2 weeks or even an entire month for the product to have any kind of effect on the user. A fairly basic guarantee and the lack of customer reviews are also raising a few questions regarding the supplement’s effectiveness.